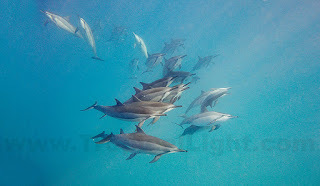 While out for a brief swim this morning I was mobbed by more than fifty Spinner Dolphins. 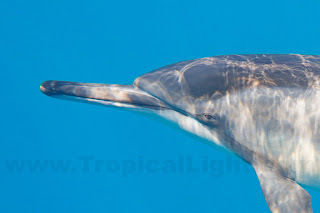 They came at me from all directions and kept swimming around me, before suddenly departing. Click HERE for lots more photos from today's adventure .